Geo-Solutions completed a pipe adbandoment project of existing gas pipelines that was positioned parallel to the Florida turnpike (SR 91). 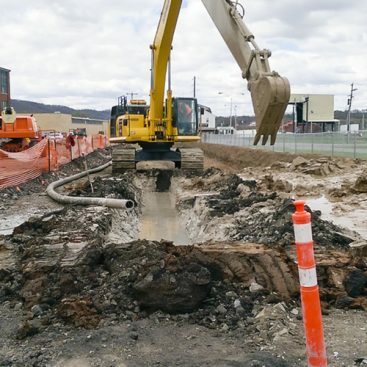 A new 36-inch pipeline is being installed along the turnkpike and the old pipline needed to be properly abandoned. The pipeline was filled with a cement-bentonite grout mix that was tested in a laboratory mix design prior to the start of the the job. The section of abandoned pipe strenched approximately 57,300 feet long. Due to the length of the pipelines, the total length was divided into smaller sections for the grouting work. There was a total of twelve work area locations along the alignment. In addition to filling the pipe with grout, Geo-Solutions also removed several abandoned grouted pipe sections located above canals. 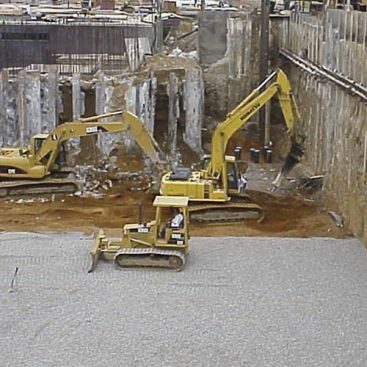 For the construction effort, Geo-Solutions provided all supervision, labor, materials, equipment, and supplies. 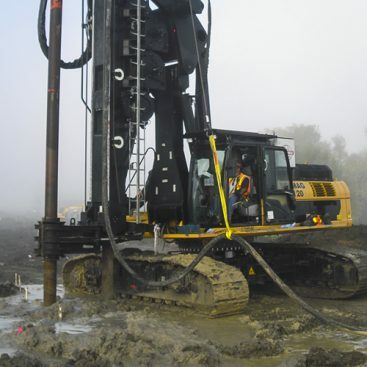 The personnel provided included experienced grouting supervisors and operators for the specialty equipment. The skilled supervisors insured the execution and quality of work that was completed. Specialty equipment that was used includes a skid-mounted mix plant, silos, storage tanks, and pumps. Geo-Solutions also found quality materials at favorable pricing to use in the grout mix. 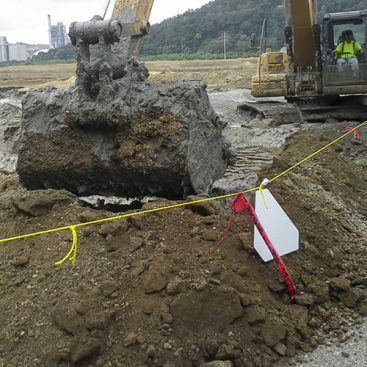 All 57,000 feet of pipe was filled successfully and the projected was executed on time and with no accidents.